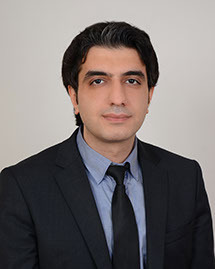 Zaur Shiriyev is an Azerbaijani academic in the field of international affairs. He is an Academy Associate at the Royal Institute of International Affairs (Chatham House, London), position he has held since 2015. Since March 2017, he has worked at the PeaCE Project, serving as coordinator for CRRC Georgia/EPF Azerbaijan, dealing with Track 2 processes on the Nagorno-Karabakh conflict. Before that he worked as a senior research fellow at ADA University, Baku (May 2014 – March 2017). Prior to joining ADA he worked as a leading research fellow at the Center for Strategic Studies (2009-14), the Turkish Asian Center for Strategic Studies, Istanbul and the International Strategic Research Organization, Ankara (2006-2008). He is currently a contributing analyst for the EurasiaNet, CACI Analyst, Jamestown Foundation’s Eurasia Daily Monitor and has previous editorial and journalistic experience in Azerbaijan and Turkey.